This past weekend was spent preparing our garden for a cool crop. On Friday, we had a special visit from Good Dirt! 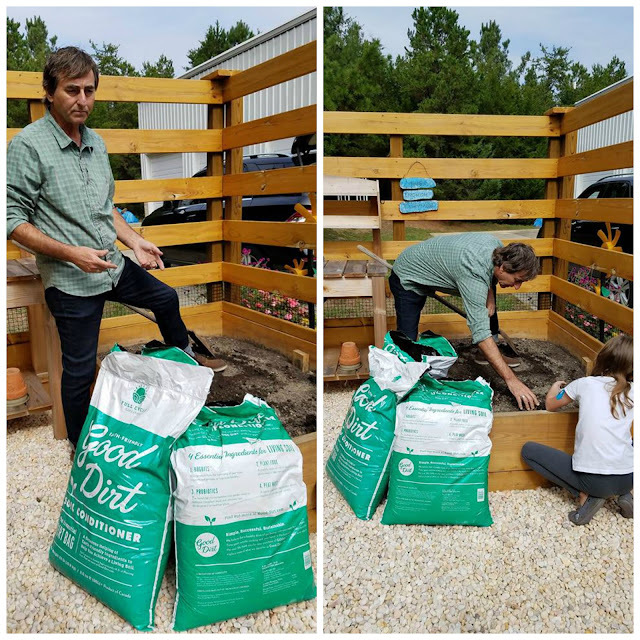 Al, Suzy, and Sophie came over, and brought us soil conditioner to help us improve the quality of our garden soil, and hopefully, improve the harvest. Al analyzed the soil, and then showed us the best way to work the soil conditioner into our existing base. Adding this soil conditioner will improve the porosity of the soil. Your garden needs to breathe. 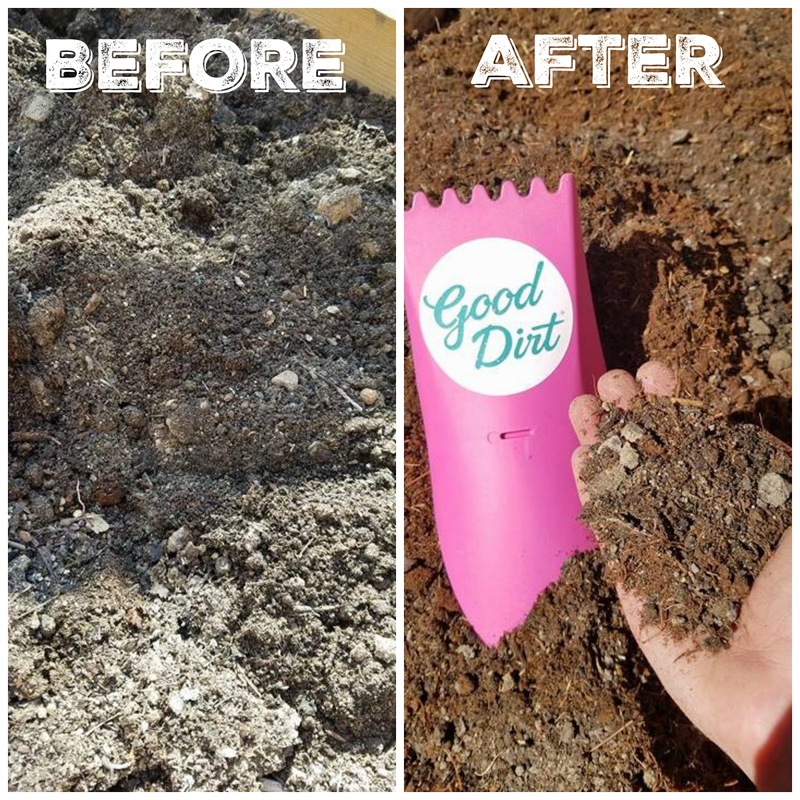 Notice the difference in soil color in the below photos. In addition to this, Good Dirt has organic plant food made into it, so your first dose of a high-quality food is immediately feeding your new plants when you begin. I feel that the addition of this in a raised bed is even more important. This same bed has been planted with tomatoes, beans, squash, and zucchini all summer. 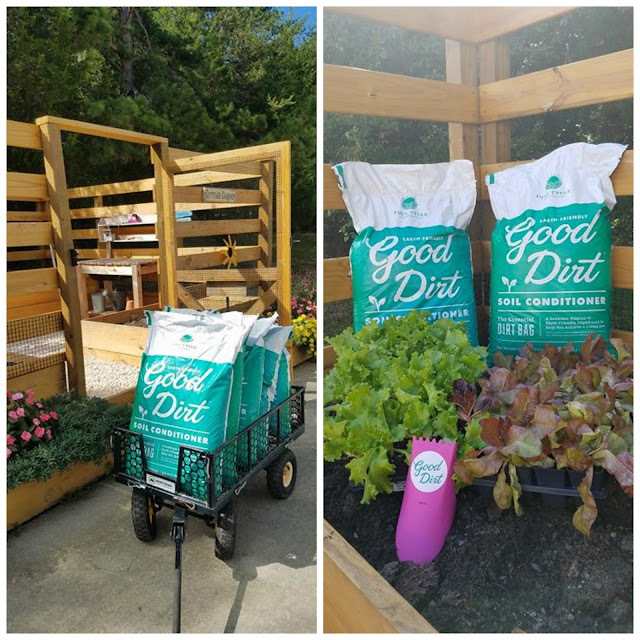 A constant garden can really drain the nutrients from the soil. After they left, we got busy. 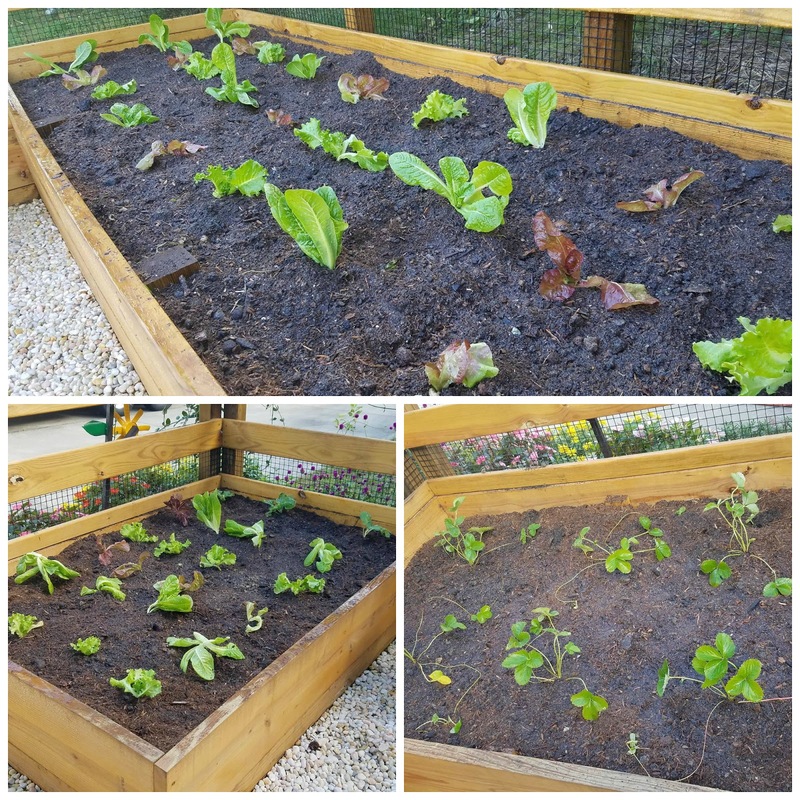 We went to the farmer’s market and purchased several varieties of lettuce to start our cool season garden. Generally speaking, a cool season garden is planted with vegetables that thrive in temperatures at least 15 degrees cooler than average. In the south, we can possible maintain this garden well into December or later depending on how cold it gets. When we got home, we got our hands dirty, mixing the rest of the soil conditioner into the other beds. Then we began planting, and we realized something very important! We bought too much!!!! Stay tuned to see what we did with the extras. But here is a look at what is in our garden at the moment! We can never have too much lettuce because we can eat it, the poultry love it, and so do the rabbits! There will be no waste whatsoever. We are going to be adding some more, but this was a good place to start.